Nike Academy hátizsák Ez a Nike Academy hátizsák bőséges helyet biztosít a dolgaidnak, amelyekre a mindennapokban szükséged lehet. Kiválóan alkalmas sportoláshoz, edzőterembe járáshoz, hétköznapi használatra vagy hétvégi utazásokhoz. Nagyméretű cipzáras főrekesszel rendelkezik, amelyben egy laptop t..
Nike Fundamentals férfi kapucnis cipzáras pamut pulóver This Nike Fundamentals Zipped Hoody, offers a classic look with a fully front zip fastening with a cotton lined hood and draw-cords for an adjustable fit and enhanced comfort. This Nike hoody is ideal for casual wear with elasticated cuffs and ..
Nike Palm Swoosh férfi pamut póló The Nike Palm Swoosh T Shirt offers a classic tee design with the crew neck and short sleeves, crafted from a soft cotton and including an athletic cut for a slightly fitted feel. 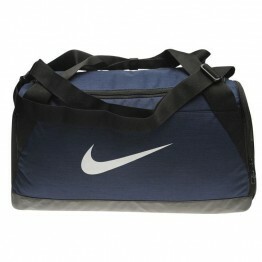 It features the iconic Nike Swoosh printed to the front in a large graphic design. > ..
Nike Squad férfi póló The Mens Nike Squad T Shirt is perfect for your next training sessions, crafted with Dri-Fit technology that wicks sweat away from the skin along with a breathable construction to keep you cool and dry. A round neck collar with short sleeves provides a comfortable fit while pr..
Nike Block Grade QTT férfi póló Get a comfortable everyday look with this Nike Block Grade QTT T Shirt - designed with a seamless cotton construction to offer at breathable, comfortable fit. This T shirt features a crew neck and short sleeves whilst a printed Nike logo located to the front of th.. Weekend Offender Sander Stripe férfi póló The Nike Ultra Swoosh QTT T Shirt is a lightweight construction that offers comfort and breathability thanks its athletic fit and cotton fabric. A crew neckline and short sleeves are coupled with a large Nike Swoosh to the front of the chest to promote i..
Nike Ultra Swoosh QTT férfi póló The Nike Ultra Swoosh QTT T Shirt is a lightweight construction that offers comfort and breathability thanks its athletic fit and cotton fabric. A crew neckline and short sleeves are coupled with a large Nike Swoosh to the front of the chest to promote instant bran..
Nike JDI Swoosh QTT férfi póló Grab a new addition to your casual wardrobe with this Nike JDI Swoosh QTT T Shirt - designed with a cotton construction to ensure a comfortable, breathable feel. A crew neck and short sleeves offer a classic styling that is perfect for everyday wear. A large printe..
Nike JDI Photo férfi póló The Nike JDI Photo T Shirt features a crew neck and short sleeves for a classic tee look, crafted from a soft cotton in an athletic cut that skims the body to offer a comfortable fit. 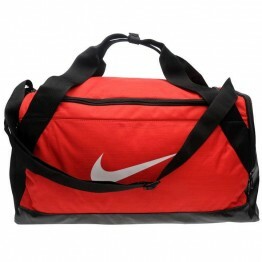 It has a large Just Do It photo slogan print to the front for an iconic look. > Men's t s..
Nike Academy Warm Up férfi melegítő szett Ez a Nike Academy Warm Up melegítő szett Dri Fit technológiájának köszönhetően kiválóan használható, kényelmesen egész napos viseletként. A melegítő felső cipzáras kialakítású. Rugalmas bordás mandzsettával és két darab cipzáras zsebbel rendelkezik. 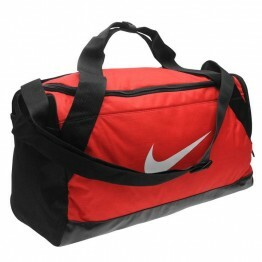 A nad..
Nike Hayward Futura hátizsák The Nike Hayward Futura Backpack is ideal for everyday use, featuring a design suitable for the gym, school or office. 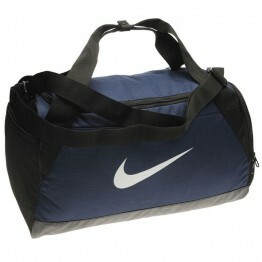 It includes a large main zipped compartment with internal pouch and a smaller zipped compartment to the front with an internal organiser and clip hook i..
Nike Academy férfi aláöltöző sport felső The Mens Nike Academy Mid Layer Top is perfect for both football training sessions and everyday wear, designed with Dri-Fit technology that wicks moisture away from the skin to keep you dry while the soft fleece lining coupled with the quarter zip fastening ..
Nike Tanjun Men Trainers These Nike Tanjun Trainers are a lightweight construction that features a mesh upper to provide ventilation to feet whilst wearing. A chunky foam like sole offers a cushioning to feet when on impact on the ground. 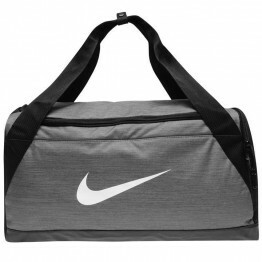 A laced up front fastening is teamed with a shaped ankle c..
Nike Swoosh Cap The Nike Metal Swoosh baseball sapka offers a comfortable fit with ventilated air holes across the outer coupled with an adjustable buckled rear strap. 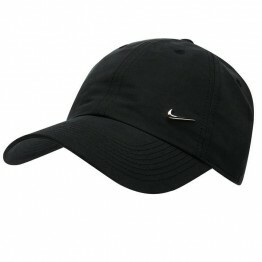 This Nike cap is available in a selection of colours with a simple style featuring a Nike swoosh badge to the left side. 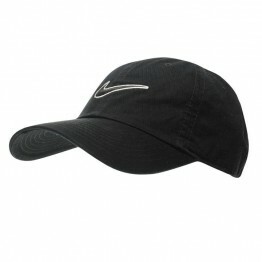 > Adult ca..
Nike Swoosh Cap The Nike Metal Swoosh baseball sapka offers a comfortable fit with ventilated air holes across the outer coupled with an adjustable buckled rear strap. 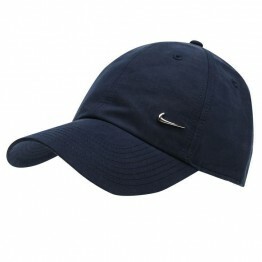 This Nike cap is available in a selection of colours with a simple style featuring a Nike swoosh badge to the left side. 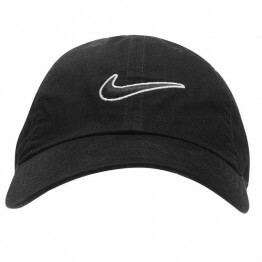 > Ad..
Nike Swoosh férfi baseball sapka The Nike Swoosh Cap Mens is great for everyday wear, with the nike swoosh logo to the front, with an adjustable strap for a comfortable fit. 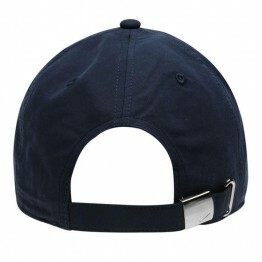 This hatis made from six panels and features vented holes. 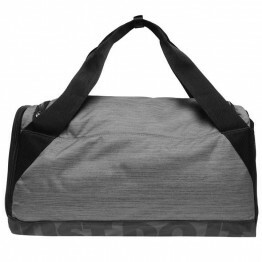 > Nike Cap > Venting holes > Nike swoosh > Adjustable strap > 100%..
Nike Brasilia Small Grip sporttáska Ez a Nike Brasilia Small sporttáska kiválóan alkalmas sportoláshoz, edzőterembe járáshoz vagy hétvégi utazásokhoz. Nagyméretű cipzáras főrekesszel, két cipzáras zsebbel van ellátva, amelyek közül az egyik ruhadarabok vagy cipők tárolására is alkalmas. Továbbá..